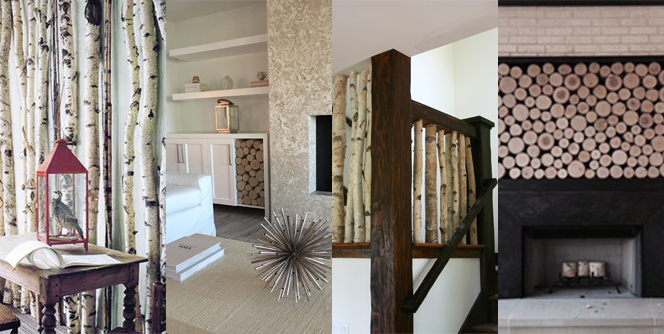 With our beautiful wood products, the design possibilities are endless! Let Wilson Enterprises expertly assist you in your planning process! Our team is dedicated to providing you with exceptional quality and customer service! In order to provide you with a custom quote for your project, please fill in the information below. Be as specific as possible to ensure we have all of the necessary information in order to provide you with the most accurate quote. One of our knowledgeable customer service representatives will be in contact with you within 2 business days. You may also call us toll-free at 1-888-430-7667 with any questions about our custom cut birch, basswood, or aspen products! We are here to assist you Monday – Friday from 9:00am – 4:30pm EST. PROCESS: All of our products undergo a kiln dry process which heat sterilizes, wicks away moisture, and preserves the integrity of the bark. The kiln dry process dries from the outside inward. As such, larger stock will take significantly longer to dry. Large diameter, tall logs will not be completely dried in the interior; they will continue to wick out moisture as long as they are maintained in a ventilated area. If they are cut into alternative lengths additional drying time will be needed. USDA ENDORSED: We are USDA and gypsy moth certified—attributes that maintain our high quality standards. DIAMETER: We also feel compelled to mention that nature does not grow trees uniformly. If you need very specific dimensions, please consider stating this in your response. Otherwise please allow for an inch diameter range. RETURNS: Our customer service representatives excel at insuring you get the product you desire. Accordingly, we cannot honor returns on custom cuts. SHIPPING: We may provide you with an estimate for shipping costs. Please realize this is an educated estimate, subject to change once your order has been packaged and weighed. At this point an adjustment might be made.